You are assured a warm welcome from the Admissions team at Wycombe Abbey. Our entry points are at age 11, 13 and 16 and we offer scholarships and bursaries at each of these stages. We are looking for potential rather than prior attainment and welcome girls whatever their background and education. We want bright, motivated, engaged girls with an enthusiasm for boarding – girls who will enjoy contributing to all areas of School life. We understand the importance of choosing the right school. Our Director of Admissions, Sophie Langdale, and her team are here to answer your questions and guide you throughout this process. We hope you enjoy browsing our website and if you have any further questions our Admissions team are ready to help and can be reached on (+44) (0) 1494 897008 or by emailing registrar@wycombeabbey.com. From time to time we would like to provide information on the admissions process, invite you to Open Mornings and other events as well as send you news and other relevant updates. Are you happy to receive such information? Do not fill out this field! Enter your child’s date of birth below to find out when she can join Wycombe Abbey. The age checker will give you a personalised timeline and an overview of our Admissions process. Please note that the registration point for starting this school year has passed. They are held each Autumn and Summer term. A limited number of individual tours are available for families who are unable attend these dates. The next Assessment Day is 25 October 2019. All registered candidates attend an Assessment Day at Wycombe Abbey prior to their proposed year of entry. The next Entrance Examination dates are 20 and 21 January 2020. Firm offers of places are made on the basis of performance in Entrance Examinations. Firm offers of places are made by the end of January. An opportunity for your child to sample boarding at Wycombe Abbey. The next Scholarship Examinations are 13 February 2020. Following a firm offer, an acceptance deposit is payable. The next Assessment Day is 26 or 27 September 2019. All registered candidates attend an Assessment Day at Wycombe Abbey prior to their proposed year of entry. Conditional offers are made, and are accepted by November. The next Scholarship Examinations are 10 and 11 January 2020. The next Entrance Examinations are held between 27-30 January 2020. Firm offers of places are made on the basis of performance in Entrance Examinations. The next acceptance and deposit deadline is 4 March 2019. Following a firm offer, an acceptance deposit is payable. UKiset scores and school report will be reviewed by the Deputy Head (Academic) and Director of Admissions and all applicants will be notified in August / September [YEAR-1] whether or not they are through to the next stage. The Entrance Exams are 12 November [YEAR-1]. Firm offers of places are made on the basis of performance in the Entrance Examinations. Firm offers are made on 1 December each year. Our Open Mornings will give you a sense of our culture, community and environment. You will have the opportunity to explore the School, boarding accommodation and our wide range of facilities. 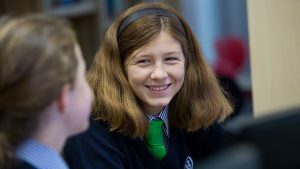 They offer you and your daughter the chance to hear from the Headmistress and to engage directly with girls and staff. You will gain a flavour of our academic, pastoral and co-curricular provision and discover what stimulates and inspires life and work at Wycombe Abbey. Saturday 6 June 2020, 9.00am Our Open Mornings typically finish by 1pm. See our most recent programme here. For directions to Wycombe Abbey click here. We look forward to extending a very warm welcome to you and your family. Our Open Mornings are always very busy, often with a long waiting list. In order to allow as many families to attend as possible we request that you only attend an Open Morning once every two academic years and bring a maximum of five people. Due to the nature of the day and the activities on offer, we ask that you do not register for an Open Morning until your daughter is at least five years old. 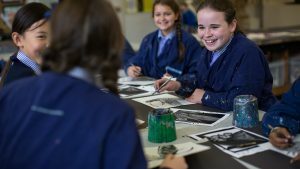 Families who have registered their daughter are welcome to visit the School in the year prior to assessment for an individual tour of the School and an appointment with the Headmistress and Director of Admissions, Mrs Sophie Langdale. Please contact the Admissions Office to arrange your visit. To be considered for a place at Wycombe Abbey, you will need to register your daughter by returning a registration form together with a fee of £250. The registration deadline for 11+ and 13+ is 1 June in the calendar year prior to entry. For 16+ entry the registration deadline is 31 July in the calendar year prior to entry. If you have any questions our Admissions team are on hand and ready to help. They can be reached on (+44) (0) 1494 897008 or by emailing registrar@wycombeabbey.com. Once your daughter is registered with us, she will be invited to attend an Assessment Day. 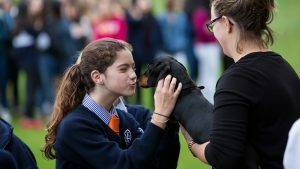 Our Assessment Day is designed to provide her with a taste of life at the School, whilst enabling us to assess her academic potential and suitability. Following the Assessment Day, conditional offers will be made, subject to success in the Entrance Examinations. Fees cover the many costs associated with running the School and include tuition, board, lodging, laundry, personal accident insurance, some educational materials and educational visits, and the cost of the weekend activities programme. Individual tuition is charged as an extra. A non-refundable registration fee of £250 is paid on application. The deposit is paid on the acceptance of your daughter’s place and is returned with your final invoice. For UK residents, the deposit is £2,500. For non-UK residents and those who require a Tier 4 visa, the deposit is the equivalent of a full term’s boarding fee. Boarding fees include tuition, lodging, laundry, personal accident insurance, the cost of most games activities, the majority of educational materials and many curriculum trips. Fees also include the provision of pastoral care, meals and snacks, and many activities as part of the co-curricular and Weekend Activities programme. Day fees include the above apart from lodging and laundry. Day Boarders can occasionally stay overnight if a need arises, for instance special events in House or if they are on a school trip which either departs very early in the morning or returns to school very late in the evening and will be charged per night. There will be further charges for external exams and Paid Extras, such as additional music, dance and drama lessons, specialist sport coaching, some curriculum trips and optional insurances. Paid Extras are billed in arrears and the level of charges varies depending on the activities a pupil chooses. A full list of charges is sent to parents at the start of the academic year. Fees are charged in advance at the start of each term and are reviewed annually. The Acceptance Deposit will be refunded when a girl leaves the School, subject to settlement of her final fees and other charges. Wycombe Abbey Scholarships and Exhibition Awards carry considerable prestige both inside and outside of the School but are of limited financial value. They are awarded in recognition of excellence, achievement and potential in academia and the arts. Scholarship application forms are available upon request. 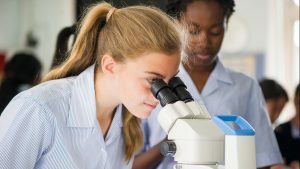 Wycombe Abbey aims to be as accessible as possible to girls whose parents could not otherwise afford to meet the full cost of fees by offering means-tested Bursaries. Our Bursary application forms are available from the Admissions team, and must be completed and returned to the Director of Admissions no later than 1 September in the calendar year preceding entry. If you would like to find out more information our Admissions team are here to help. The Admissions team can be reached on (+44) (0) 1494 897008 or by emailing registrar@wycombeabbey.com. How should my daughter be prepared for the entrance assessments? Your daughter does not need to prepare for the assessments – the assessment is not something you pass or fail and it should not be a source of anxiety for your daughter. Yes. 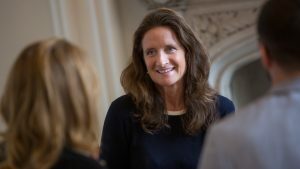 Candidates who are citizens outside the European Economic Area who wish to study at Wycombe Abbey for a period of more than six months will need to follow a points-based system in applying for a Tier 4 visa. Further information may be obtained from the UK Government Visas and Home Office website. What is the induction process for new girls? We offer a number of induction events to candidates in the year preceding entry from Open Mornings to our ‘Wycombe Abbey Sleepover’. Do you offer day places? We offer a number of day places each year. All day boarders are members of a Senior House and are fully involved in activities throughout the week and at weekends. With the size of the School now at capacity, we cannot guarantee an automatic switch to full boarding but we will try to accommodate those who wish to convert as they progress through the school as long as we have beds available. How are boarding houses allocated? Girls entering Wycombe Abbey at 11+ go into Junior House for their first year and are allocated their Senior House towards the end of their first term. From LIV they join one of the nine Senior Houses. Girls entering at 13+ and 16+ will be allocated a Senior House during the admissions process. Girls move from their Senior House into Clarence for their final year of Sixth Form. Does my daughter need an educational guardian? Parents who live abroad or who spend long periods of time outside the United Kingdom must appoint an official guardian for their daughter. The guardian must be prepared to take full responsibility for her, i.e., must be available to act in loco parentis if parents are not available, including during Short and Long Leaves and any other period of enforced school closure when girls may not remain in the School. How often can I see my daughter? 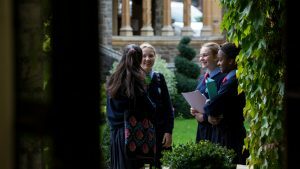 Wycombe Abbey has a modern and sympathetic approach to boarding reflecting the needs and preferences of today’s families. Girls go home regularly and parents are actively involved in the numerous school events. Most weekends, girls are involved in sports fixtures, performing arts activities or attending one of the many organised outings, such as trips to theme parks, museums, the cinema or theatre. A lot happens here at School too: creative weekend workshops, cooking demonstrations, spas and DVD evenings. Parents and guardians are welcome to visit the School during the weekend to support events or meet your daughter for a drink in our atrium café, The Courtyard. What are the advantages of mixed-aged bedrooms? The ‘House Mother/Daughter’ tradition means that every girl in a Senior House is part of a ‘family tree’ of girls who feel connected, look out for each other, and offer advice and a listening ear. What provision is there for learning needs? Girls with specific learning needs are well supported at Wycombe Abbey and flourish here. Every girl learns in her own way and our Learning Enhancement Department helps girls by giving the specific support required to assist with the demands of everyday living and learning, sometimes with specific one-to-one lessons or via drop-in sessions. What sort of girl is Wycombe Abbey looking for? We are looking for engaged, motivated girls with potential – young women who will enjoy contributing to all areas of Wycombe Abbey life.